Celebrate creative freedom with the industry's top talents in this paperback edition collecting LIBERTY ANNUAL 2008-2012 this August 2016. 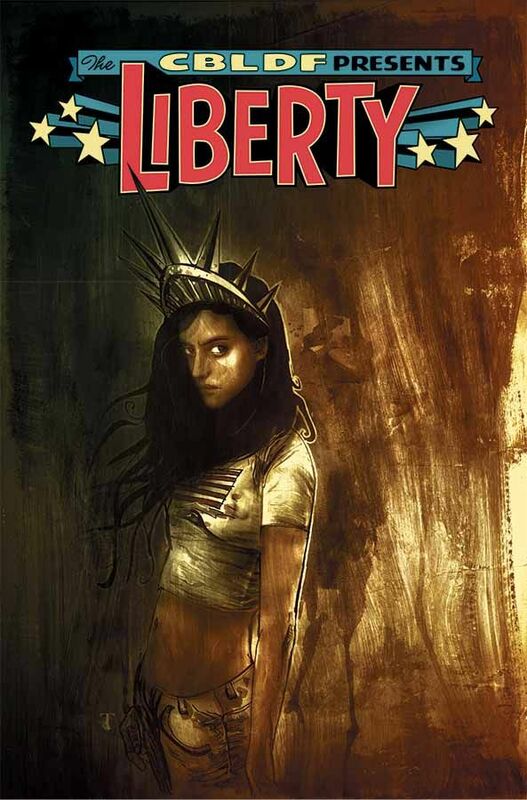 LIBERTY TP (ISBN 978-1-60706-996-6) hits comic book stores Wednesday, August 3rd, 2016 and bookstores Tuesday, August 9th, 2016, and will be available for $19.99. It can be preordered now on Amazon, Barnes & Noble, Indiebound, and Indigo. It can be ordered by retailers with the Diamond Code MAY160672, and the final order cutoff deadline is Monday, June 20th, 2016.